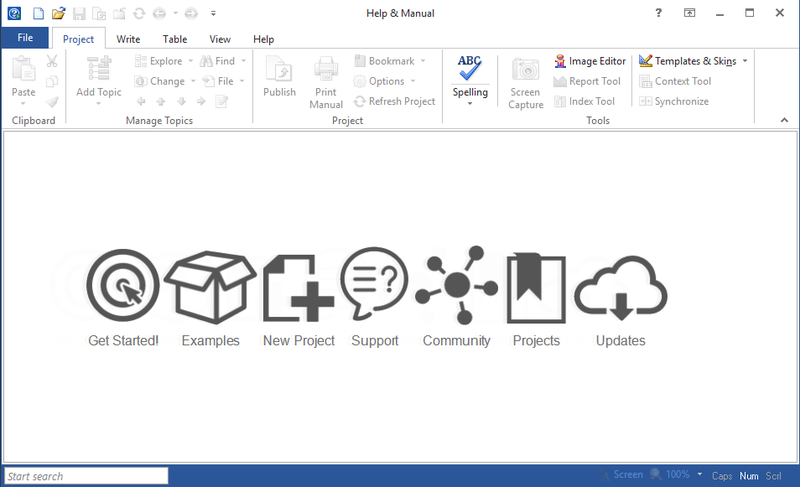 Create online help, user manuals and knowledge bases in no time! 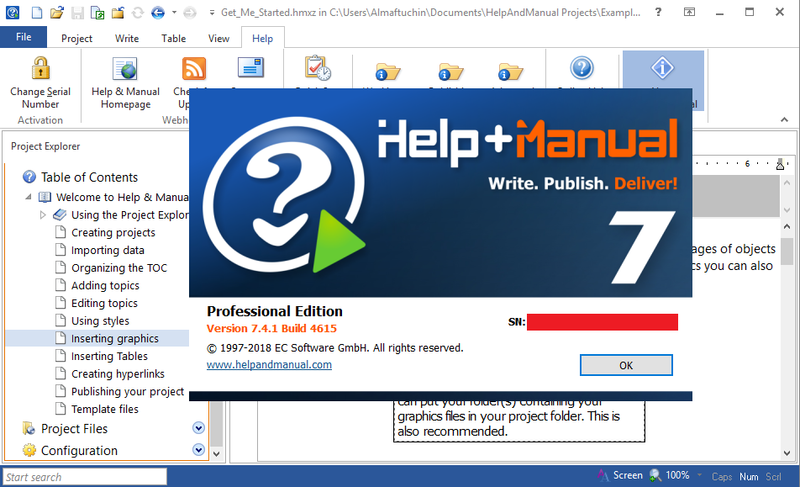 Help+Manual is a documentation tool and content management system for both single and multi-author editing. All publishing formats supported by Help+Manual are generated from the same project. This means you only have to edit your help and documentation once. Forget about the nightmare of "converting" your documentation every time you change anything. However, Single Source is much more than just outputting exactly the same information to different formats. Help+Manual supports conditional and customized output features that enable you to include variant content versions for different output formats and purposes – all in the same project, no post-processing is required. 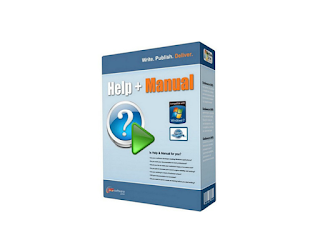 Help+Manual publishes all standard Windows help formats, from HTML Help to Webhelp to Visual Studio Help. It also generates Adobe PDF, Microsoft Word documents and ePUB e-books - the standard format supported by the Apple iPad - as well as Amazon Kindle. Windows HTML Help (.chm) is the platform-specific format for all Windows applications including .NET. 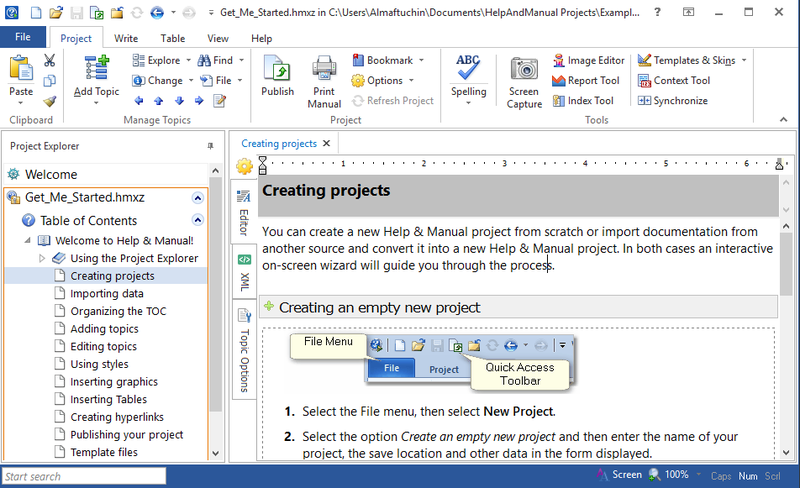 Help+Manual creates CHM files as well as MSHC, a special help format for integration into Microsoft VisualStudio. The Webhelp publishing format includes a table of contents, keyword index and full-text search. Webhelp is context-sensitive and allows seamless integration into your website. This output format can be highly customized and supports jQuery plugins for animations of non-static content. PDF output and print manuals are fully customizable with the bundled Print Manual Designer program: include a table of contents and a keyword index, automatic page referrers for links and cross-references, customized page layouts, headers, footers, page numbering, covers, introductions and more. A classic: Word documents. Use a regular Word file to build the layout of your user manual and use placeholder tags that Help+Manual uses to fill the content of your help project when publishing to Word. 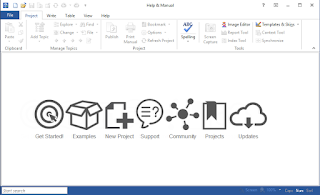 An automatically-built table of contents, keyword index and interactive topic links make the Word document suitable for both, printing and online viewing. With the Apple iPad, e-books have become mainstream. Help+Manual publishes the standard ePUB e-book format optimized for iPad, iPhone, the Nook Reader and other e-reading devices. This is a dedicated e-book format for offline reading on e-readers like iPad and iPhone. Do you want to get your e-book into the Amazon store? Nothing's easier than that! With Help+Manual, you can produce Amazon Kindle e-books, packaged ready for distribution. Split documentation projects into modules. Help projects can include topics and chapters from other help projects and you can edit them in the same way as local topics. This is great if the product your are documenting is split into modules as well: the documentation design follows the product design! Chapters that go into the print manual, topics that are included in the online version only. Conditional tags on chapter, topic and text level make this a breeze! Help+Manual has pre-defined tags for every output format and user-defined conditional tags for any purpose you can imagine. Where conditional tags cannot do the job anymore: multiple table of contents come to the rescue! This feature makes it really simple to use a completely different content structure for a publishing task. Create an additional TOC to create a review copy of your documentation, or a quick start tutorial with excerpts from the main manual. You can use text variables (pre-defined and user-defined variables) in literally every place of your documentation project. Text variables are placeholder objects, that are replaced with their actual content at publishing time. Use them for product names to enable custom branding, or for content that is yet not fixed. Snippets can be retrieved from a central repository and are updated automatically when the repository source changes. 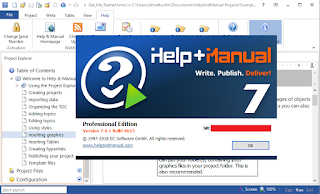 Help+Manual´s working environment gives you all the formatting and editing features of a modern word processor, including dynamic styles and complex tables. This is combined with powerful features for generating and editing help and documentation files, including full support for multimedia and complex modular projects. 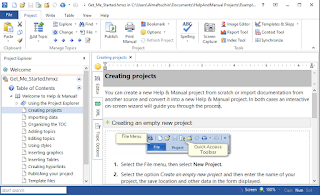 Your projects are displayed and edited with the same hierarchical tree structure used by all Windows help formats. 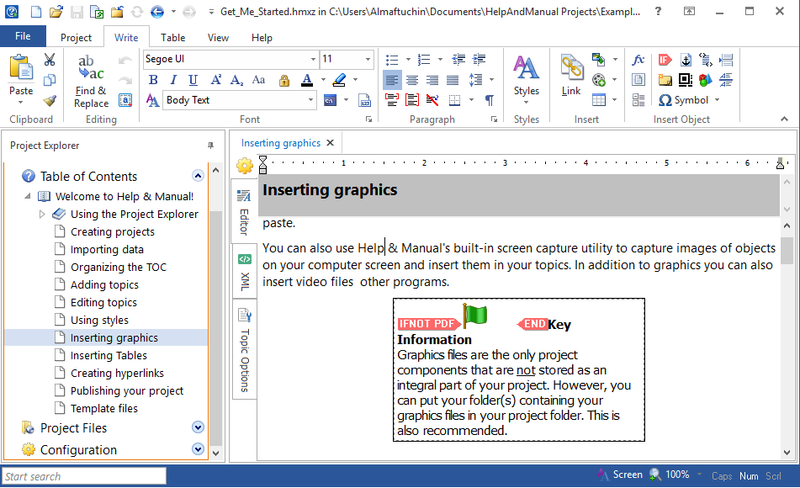 The editor and content tree view are combined in a single window. 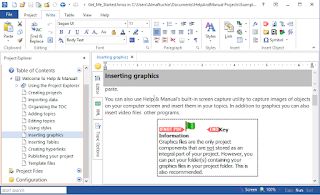 Editing topics and manipulating the structure of your projects is fast and intuitive. Help+Manual handles all the complexities of help formatting and generation for you, letting you concentrate on the work of writing. But there is also extensive support for power users and experienced help authors. You can get under the hood and insert your own HTML code, change the code the program uses to generate your projects, manipulate topic and project templates and more. Help+Manual gives you the best of both worlds. We promise: after experiencing the Help+Manual way of writing documentation, you don't want your old HTML editor back! Never.